July 11. 2011 | By Valerie C.
Washed Out’s Ernest Greene has been teasing us since 2009, dropping tasty EP’s here and there. After signing with Sub Pop, we are finally treated to his first LP, co-produced by Ben Allen, producer of such acts as Deerhunter, Matt & Kim and Lenka to name a few. With nine tracks, it’s a fairly short album, but I don’t think anyone will mind since it contains such quality cuts. Moby-esque opener “Eyes Be Closed”, gets us into the right vibe for the rest of the album. “Echoes” with its almost continual digi-drum and snare beats got my head bobbin’. “Soft” brought back all the good feelings from Washed Out’s own “Feel It All Around” back into the forefront of where feel-good music resides in my lobes. “You and I” is slow-burn beats and lo-fi goodness, while the ballad “A Dedication” puts Greene’s vocals front and center. Listening to Within And Without feels a bit like déjà vu sometimes due to Greene’s penchant for sampling. He does so masterfully, putting his own Washed Out twist to each track. Washed Out delivers a delicious album full of lo-fi, chillwave cuts full of good vibes. Put the record on, mix yourself a nice icy cold drink, and lounge by the pool. Summer is upon us. 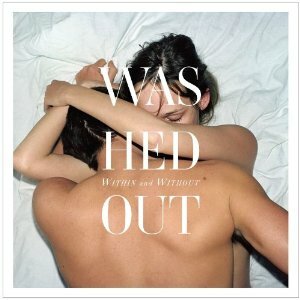 Download Washed Out – Amor Fati MP3 HERE!